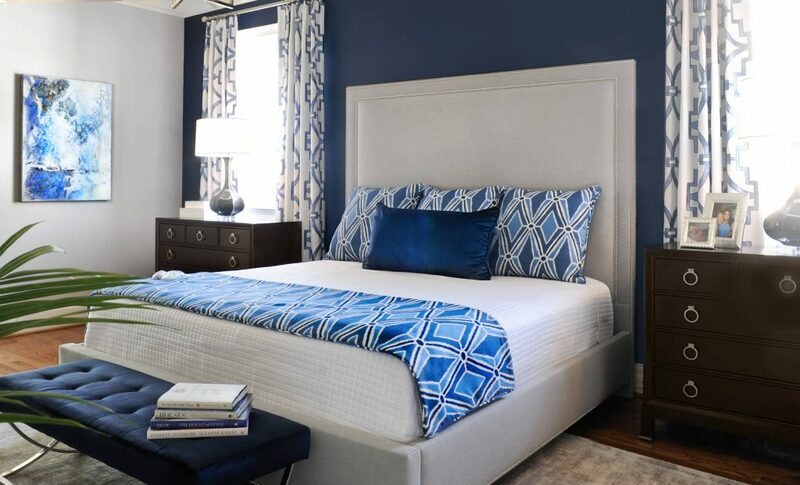 Our own bedroom retreat is often the last room that we splurge to complete when furnishing our homes. After all, no one sees it, right? The fact is that you spend one-third of your day there, more than you spend in any other room in your home or office. You deserve a luxurious space to wrap up your hectic day. In our youth, many of us grew up with some form of wooden or metal bed. Brass and iron beds reigned supreme in the early- to mid-1900s. Mid-century furniture makers brought sleeker, lower profile wooden beds to the masses. These materials remained much unchanged until the early 2000’s when upholstered beds started to become more popular. In our chaotic lives, whether you want to jump into bed and watch your favorite show while eating Chinese take-out or relax and drift off to sleep with a good book, you can’t beat the comfort of a luxuriously soft back to help you end your day.